MCAD Presents: Transforming Architecture with LIGHT by Lux Populi Director Thomas Paterson | Miami Center for Architecture & Design, Inc.
You’ll never draw a ceiling the same way again! 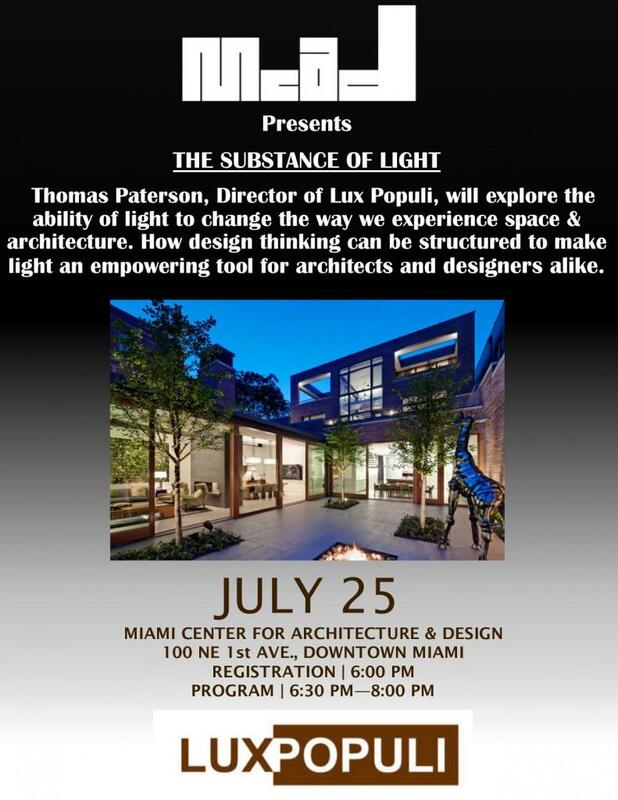 Join Thomas Paterson of Lux Populi for an exploration of the ability of light to change the way we experience space and architecture. With a focus on deliverable, realistic schemes, Thomas will explore how design thinking can be structured to make light an empowering tool to architects and designers alike.